Our hate speech detector uses deep learning in order to spot obscene or toxic content in conversations. We have trained language models (a.k.a. word embeddings) on 2.3 Billion tweets, obtaining representations for both words and sub-words. Our hate speech classifiers use both the words and the sub-words to deal with slang language, going around spelling mistakes and word variations. We have built a set of image classifiers that are able to spot various incident on social media (provocative images, violent images, private family images, gore content, etc. We designed those classifiers to work in the wild through a hierarchical approach that filters out noise. We have built a novel technique, called "Common Space Fusion" for jointly classifying social media posts by jointly analyzing the visual and the textual content. Rémi is a Postdoctoral Researcher at EPFL, Switzerland. He develops deep learning solutions tailored for analyzing social media. 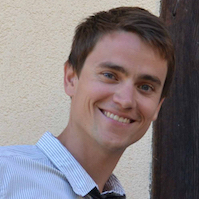 He received his PhD at École Polytechnique Fédérale de Lausanne in 2016 for his work on deep learning models for natural language processing where he was supervised by Ronan Collobert at the Idiap Research Institute. During his PhD, he also spent a few months working on concept-to-text generation at Facebook AI Research with David Grangier and Michael Auli. His work has been publishing in top-tier conferences in both natural language processing and machine learning. 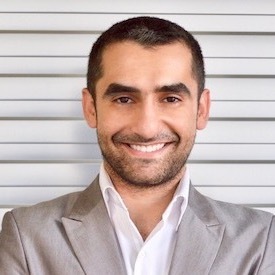 Hamza is a Postdoctoral Researcher at EPFL, Switzerland. He always strives to put his research projects in the hands of people by turning them into online usable services. He is also a full-stack developer and an avid user/system experimenter who loves conceiving beautiful, usable products while leaving the noise out. Oyoty is the app by Privately SA, where this research is being integrated. Disclaimer: The demos on this website contain content that is racist, sexist, and offensive in many other ways. The images can also be not safe for work and are only used for demonstrating the classifiers. Neither the LSIR lab nor Privately SA assumes any responsibility or liability for any content presented on this website.